Garnet is one of the ancient fruits known to a man. It always was popular in the Middle East, it was known in ancient Rome. Motherland of the garnet is South Africa and Central Asia. In the East the garnet is considered the symbol of fertility and friendly feelings. 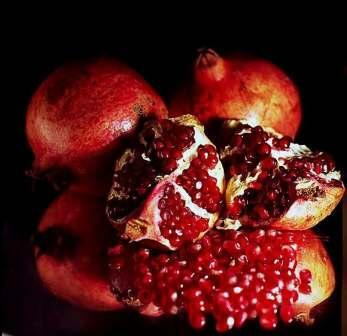 Also from ancient times in the East the garnet has been the “king” of fruits, that is why there is a “crown” on its top. 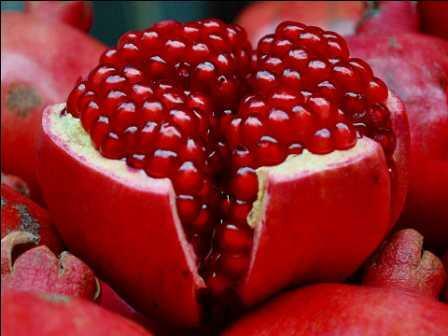 It has many seeds-children – till 1000-1200 in each fruit. In Central Asia and Middle East the garnet is called “anor” and its derivatives “narr” – in Turkic. Many philosophers and scientists of antiquity wrote about medicinal properties of the garnet. In customs of many nations the seeds of the garnet are consider the symbol of indissoluble ties. In the East flowers and fruits of the garnet symbolize friendship, that is why when going to the guests people take the garnet as a present. Garnet is a plant of fortune. Before eating the fruit you may make a wish and it will grant. Taste qualities of the garnet are multifaceted. Besides, the garnet is a universal medicinal plant, which is used in the folk medicine.